The Nelly Longhair doll is on sale at Murphy’s Toys for ten dollars. But Isabel has only fifty cents. 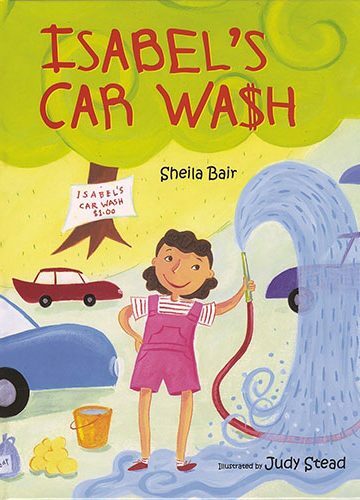 Isabel decides to start a car wash business; she’s sure she can make money. But at the hardware store she learns that her supplies will cost five dollars! If five of her friends will invest one dollar each, she’ll have enough. Will Isabel be able to pay them back and have enough left over for the Nelly doll? It’s a great understandable story for kids to get the value of work. We own it and our kids love it.